Direct reprogramming of fibroblasts to neurons induces widespread cellular and transcriptional reconfiguration. Here, we characterized global epigenomic changes during the direct reprogramming of mouse fibroblasts to neurons using whole-genome base-resolution DNA methylation (mC) sequencing. We found that the pioneer transcription factor Ascl1 alone is sufficient for inducing the uniquely neuronal feature of non-CG methylation (mCH), but co-expression of Brn2 and Mytl1 was required to establish a global mCH pattern reminiscent of mature cortical neurons. Ascl1 alone induced promoter CG methylation (mCG) of fibroblast specific genes, while BAM overexpression additionally targets a competing myogenic program and directs a more faithful conversion to neuronal cells. Ascl1 induces local demethylation at its binding sites. Surprisingly, co-expression with Brn2 and Mytl1 inhibited the ability of Ascl1 to induce demethylation, suggesting a contextual regulation of transcription factor – epigenome interaction. Finally, we found that de novo methylation by DNMT3A is required for efficient neuronal reprogramming. TET enzymes convert 5-methylcytosine to 5-hydroxymethylcytosine and higher oxidized derivatives. TETs stably associate with and are post-translationally modified by the nutrient-sensing enzyme OGT, suggesting a connection between metabolism and the epigenome. Here, we show for the first time that modification by OGT enhances TET1 activity We identify a TET1 domain that is necessary and sufficient for binding to OGT and report a point mutation that disrupts the TET1-OGT interaction. We show that this interaction is necessary for TET1 to rescue hematopoetic stem cell production in tet mutant zebrafish embryos, suggesting that OGT promotes TET1’s function during development. Finally, we show that disrupting the TET1-OGT interaction in mouse embryonic stem cells changes the abundance of TET2 and 5-methylcytosine, which is accompanied by alterations in gene expression. These results link metabolism and epigenetic control, which may be relevant to the developmental and disease processes regulated by these two enzymes. The classical model of cytosine DNA methylation (the presence of 5-methylcytosine, 5mC) regulation depicts this covalent modification as a stable repressive regulator of promoter activity. However, whole-genome analysis of 5mC reveals widespread tissue- and cell type-specific patterns and pervasive dynamics during mammalian development. Here we review recent findings that delineate 5mC functions in developmental stages and diverse genomic compartments as well as discuss the molecular mechanisms that connect transcriptional regulation and 5mC. Beyond the newly appreciated dynamics, regulatory roles for 5mC have been suggested in new biological contexts, such as learning and memory or aging. The use of new single-cell measurement techniques and precise editing tools will enable functional analyses of 5mC in gene expression, clarifying its role in various biological processes. Vascular endothelial cell (EC) function depends on appropriate organ-specific molecular and cellular specializations. To explore genomic mechanisms that control this specialization, we have analyzed and compared the transcriptome, accessible chromatin, and DNA methylome landscapes from mouse brain, liver, lung, and kidney ECs. Analysis of transcription factor (TF) gene expression and TF motifs at candidate -regulatory elements reveals both shared and organ-specific EC regulatory networks. In the embryo, only those ECs that are adjacent to or within the central nervous system (CNS) exhibit canonical Wnt signaling, which correlates precisely with blood-brain barrier (BBB) differentiation and expression. 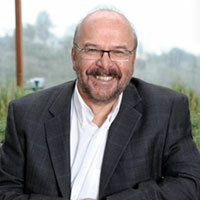 In the early postnatal brain, single-cell RNA-seq of purified ECs reveals (1) close relationships between veins and mitotic cells and between arteries and tip cells, (2) a division of capillary ECs into vein-like and artery-like classes, and (3) new endothelial subtype markers, including new validated tip cell markers. Single-cell DNA methylome profiling has enabled the study of epigenomic heterogeneity in complex tissues and during cellular reprogramming. However, broader applications of the method have been impeded by the modest quality of sequencing libraries. Here we report snmC-seq2, which provides improved read mapping, reduced artifactual reads, enhanced throughput, as well as increased library complexity and coverage uniformity compared to snmC-seq. 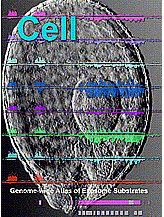 snmC-seq2 is an efficient strategy suited for large-scale single-cell epigenomic studies. Physical interactions between proteins and other molecules can be evaluated at a proteome scale using protein arrays, a type of high-throughput pulldown assay. We developed a modified in situ protein array known as the nucleic acid programmable protein assay (NAPPA) that allows the screening of thousands of open reading frames (ORFs) at a lower cost, with less labor, and in less time than conventional protein arrays. The HaloTag-NAPPA protein array can efficiently capture proteins expressed in situ on a glass slide using the Halo high-affinity capture tag. Here, we describe the fabrication of the array using publicly available resources and detection of protein-protein interactions (PPIs) that can be used to generate a protein interactome map. The Basic Protocol includes procedures for preparing the plasmid DNA spotted on glass slides, in situ protein expression, and PPI detection. The supporting protocols outline the construction of vectors and preparation of ORF clones. © 2018 by John Wiley & Sons, Inc. 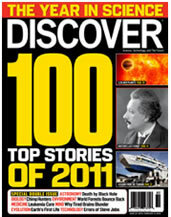 The original version of this Article contained an error in Fig. 3. Panel b was inadvertently duplicated and the correct panel c was originally omitted. This error has been corrected in both the PDF and HTML versions of the Article. Cytokinin fulfills its diverse roles in planta through a series of transcriptional responses. We identify the in vivo DNA binding site profiles for three genetically redundant type-B ARABIDOPSIS RESPONSE REGULATORS (B-ARRs): ARR1, ARR10, and ARR12. The expression and genome-wide DNA binding locations of the three B-ARRs extensively overlap. Constructing a primary cytokinin response transcriptional network reveals a recurring theme of widespread cross-regulation between the components of the cytokinin pathway and other plant hormone pathways. The B-ARRs are found to have similar DNA binding motifs, though sequences flanking the core motif were degenerate. Cytokinin treatments amalgamate the three different B-ARRs motifs to identical DNA binding signatures (AGATHY, H(a/t/c), Y(t/c)) which suggests cytokinin may regulate binding activity of B-ARR family members. Furthermore, we find that WUSCHEL, a key gene required for apical meristem maintenance, is a cytokinin-dependent B-ARR target gene, demonstrating the importance of the cytokinin transcription factor network in shoot development. The handheld Oxford Nanopore MinION sequencer generates ultra-long reads with minimal cost and time requirements, which makes sequencing genomes at the bench feasible. Here, we sequence the gold standard Arabidopsis thaliana genome (KBS-Mac-74 accession) on the bench with the MinION sequencer, and assemble the genome using typical consumer computing hardware (4 Cores, 16 Gb RAM) into chromosome arms (62 contigs with an N50 length of 12.3 Mb). We validate the contiguity and quality of the assembly with two independent single-molecule technologies, Bionano optical genome maps and Pacific Biosciences Sequel sequencing. The new A. thaliana KBS-Mac-74 genome enables resolution of a quantitative trait locus that had previously been recalcitrant to a Sanger-based BAC sequencing approach. In summary, we demonstrate that even when the purpose is to understand complex structural variation at a single region of the genome, complete genome assembly is becoming the simplest way to achieve this goal. A comprehensive characterization of neuronal cell types, their distributions, and patterns of connectivity is critical for understanding the properties of neural circuits and how they generate behaviors. Here we review the experiences of the BRAIN Initiative Cell Census Consortium, ten pilot projects funded by the U.S. BRAIN Initiative, in developing, validating, and scaling up emerging genomic and anatomical mapping technologies for creating a complete inventory of neuronal cell types and their connections in multiple species and during development. These projects lay the foundation for a larger and longer-term effort to generate whole-brain cell atlases in species including mice and humans. 5-Methylcytosine, a chemical modification of DNA, is a covalent modification found in the genomes of both plants and animals. Epigenetic inheritance of phenotypes mediated by DNA methylation is well established in plants. Most of the known mechanisms of establishing, maintaining and modifying DNA methylation have been worked out in the reference plant Arabidopsis thaliana. 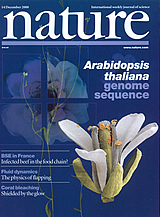 Major functions of DNA methylation in plants include regulation of gene expression and silencing of transposable elements (TEs) and repetitive sequences, both of which have parallels in mammalian biology, involve interaction with the transcriptional machinery, and may have profound effects on the regulatory networks in the cell. Methylome and transcriptome dynamics have been investigated in development and environmental responses in Arabidopsis and agriculturally and ecologically important plants, revealing the interdependent relationship among genomic context, methylation patterns, and expression of TE and protein coding genes. Analyses of methylome variation among plant natural populations and species have begun to quantify the extent of genetic control of methylome variation vs. true epimutation, and model the evolutionary forces driving methylome evolution in both short and long time scales. The ability of DNA methylation to positively or negatively modulate binding affinity of transcription factors (TFs) provides a natural link from genome sequence and methylation changes to transcription. Technologies that allow systematic determination of methylation sensitivities of TFs, in native genomic and methylation context without confounding factors such as histone modifications, will provide baseline datasets for building cell-type- and individual-specific regulatory networks that underlie the establishment and inheritance of complex traits. This article is categorized under: Laboratory Methods and Technologies > Genetic/Genomic Methods Biological Mechanisms > Regulatory Biology. Unlike animals, plants can pause their life cycle as dormant seeds. In both plants and animals, DNA methylation is involved in the regulation of gene expression and genome integrity. In animals, reprogramming erases and re-establishes DNA methylation during development. However, knowledge of reprogramming or reconfiguration in plants has been limited to pollen and the central cell. To better understand epigenetic reconfiguration in the embryo, which forms the plant body, we compared time-series methylomes of dry and germinating seeds to publicly available seed development methylomes. The mammalian brain contains diverse neuronal types, yet we lack single-cell epigenomic assays that are able to identify and characterize them. 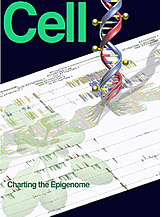 DNA methylation is a stable epigenetic mark that distinguishes cell types and marks regulatory elements. We generated >6000 methylomes from single neuronal nuclei and used them to identify 16 mouse and 21 human neuronal subpopulations in the frontal cortex. CG and non-CG methylation exhibited cell type-specific distributions, and we identified regulatory elements with differential methylation across neuron types. Methylation signatures identified a layer 6 excitatory neuron subtype and a unique human parvalbumin-expressing inhibitory neuron subtype. We observed stronger cross-species conservation of regulatory elements in inhibitory neurons than in excitatory neurons. Single-nucleus methylomes expand the atlas of brain cell types and identify regulatory elements that drive conserved brain cell diversity. To enable low-cost, high-throughput generation of cistrome and epicistrome maps for any organism, we developed DNA affinity purification sequencing (DAP-seq), a transcription factor (TF)-binding site (TFBS) discovery assay that couples affinity-purified TFs with next-generation sequencing of a genomic DNA library. The method is fast, inexpensive, and more easily scaled than chromatin immunoprecipitation sequencing (ChIP-seq). 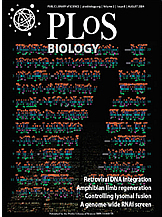 DNA libraries are constructed using native genomic DNA from any source of interest, preserving cell- and tissue-specific chemical modifications that are known to affect TF binding (such as DNA methylation) and providing increased specificity as compared with in silico predictions based on motifs from methods such as protein-binding microarrays (PBMs) and systematic evolution of ligands by exponential enrichment (SELEX). The resulting DNA library is incubated with an affinity-tagged in vitro-expressed TF, and TF-DNA complexes are purified using magnetic separation of the affinity tag. 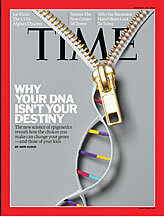 Bound genomic DNA is eluted from the TF and sequenced using next-generation sequencing. Sequence reads are mapped to a reference genome, identifying genome-wide binding locations for each TF assayed, from which sequence motifs can then be derived. A researcher with molecular biology experience should be able to follow this protocol, processing up to 400 samples per week. Broad-scale protein-protein interaction mapping is a major challenge given the cost, time, and sensitivity constraints of existing technologies. Here, we present a massively multiplexed yeast two-hybrid method, CrY2H-seq, which uses a Cre recombinase interaction reporter to intracellularly fuse the coding sequences of two interacting proteins and next-generation DNA sequencing to identify these interactions en masse. We applied CrY2H-seq to investigate sparsely annotated Arabidopsis thaliana transcription factors interactions. By performing ten independent screens testing a total of 36 million binary interaction combinations, and uncovering a network of 8,577 interactions among 1,453 transcription factors, we demonstrate CrY2H-seq’s improved screening capacity, efficiency, and sensitivity over those of existing technologies. The deep-coverage network resource we call AtTFIN-1 recapitulates one-third of previously reported interactions derived from diverse methods, expands the number of known plant transcription factor interactions by three-fold, and reveals previously unknown family-specific interaction module associations with plant reproductive development, root architecture, and circadian coordination. Due to a large and growing collection of genomic and experimental resources, Brachypodium distachyon has emerged as a powerful experimental model for the grasses. To add to these resources we sequenced 21 165 T-DNA lines, 15 569 of which were produced in this study. This increased the number of unique insertion sites in the T-DNA collection by 21 078, bringing the overall total to 26 112. Thirty-seven per cent (9754) of these insertion sites are within genes (including untranslated regions and introns) and 28% (7217) are within 500 bp of a gene. Approximately 31% of the genes in the v.2.1 annotation have been tagged in this population. 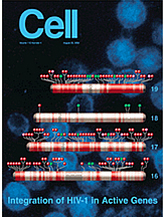 To demonstrate the utility of this collection, we phenotypically characterized six T-DNA lines with insertions in genes previously shown in other systems to be involved in cellulose biosynthesis, hemicellulose biosynthesis, secondary cell wall development, DNA damage repair, wax biosynthesis and chloroplast synthesis. In all cases, the phenotypes observed supported previous studies, demonstrating the utility of this collection for plant functional genomics. The Brachypodium T-DNA collection can be accessed at http://jgi.doe.gov/our-science/science-programs/plant-genomics/brachypodium/brachypodium-t-dna-collection/. DNA methylation at gene promoters in a CG context is associated with transcriptional repression, including at genes silenced on the inactive X chromosome in females. Non-CG methylation (mCH) is a distinct feature of the neuronal epigenome that is differentially distributed between males and females on the X chromosome. However, little is known about differences in mCH on the active (Xa) and inactive (Xi) X chromosomes because stochastic X-chromosome inactivation (XCI) confounds allele-specific epigenomic profiling. We used whole-genome bisulfite sequencing in a mouse model with nonrandom XCI to examine allele-specific DNA methylation in frontal cortex. Xi was largely devoid of mCH, whereas Xa contained abundant mCH similar to the male X chromosome and the autosomes. In contrast to the repressive association of DNA methylation at CG dinucleotides (mCG), mCH accumulates on Xi in domains with transcriptional activity, including the bodies of most genes that escape XCI and at the X-inactivation center, validating this epigenetic mark as a signature of transcriptional activity. Escape genes showing CH hypermethylation were the only genes with CG-hypomethylated promoters on Xi, a well-known mark of active transcription. Finally, we found extensive allele-specific mCH and mCG at autosomal imprinted regions, some with a negative correlation between methylation in the two contexts, further supporting their distinct functions. Our findings show that neuronal mCH functions independently of mCG and is a highly dynamic epigenomic correlate of allele-specific gene regulation. Chromatin modifications, such as cytosine methylation of DNA, play a significant role in mediating gene expression in plants, which affects growth, development, and cell differentiation. As root hairs are single-cell extensions of the root epidermis and the primary organs for water uptake and nutrients, we sought to use root hairs as a single-cell model system to measure the impact of environmental stress. We measured changes in cytosine DNA methylation in single-cell root hairs as compared with multicellular stripped roots, as well as in response to heat stress. Differentially methylated regions (DMRs) in each methylation context showed very distinct methylation patterns between cell types and in response to heat stress. Intriguingly, at normal temperature, root hairs were more hypermethylated than were stripped roots. However, in response to heat stress, both root hairs and stripped roots showed hypomethylation in each context, especially in the CHH context. Moreover, expression analysis of mRNA from similar tissues and treatments identified some associations between DMRs, genes and transposons. Taken together, the data indicate that changes in DNA methylation are directly or indirectly associated with expression of genes and transposons within the context of either specific tissues/cells or stress (heat). Accurate enhancer identification is critical for understanding the spatiotemporal transcriptional regulation during development as well as the functional impact of disease-related noncoding genetic variants. Computational methods have been developed to predict the genomic locations of active enhancers based on histone modifications, but the accuracy and resolution of these methods remain limited. Here, we present an algorithm, regulatory element prediction based on tissue-specific local epigenetic marks (REPTILE), which integrates histone modification and whole-genome cytosine DNA methylation profiles to identify the precise location of enhancers. We tested the ability of REPTILE to identify enhancers previously validated in reporter assays. Compared with existing methods, REPTILE shows consistently superior performance across diverse cell and tissue types, and the enhancer locations are significantly more refined. We show that, by incorporating base-resolution methylation data, REPTILE greatly improves upon current methods for annotation of enhancers across a variety of cell and tissue types. REPTILE is available at https://github.com/yupenghe/REPTILE/. The Aux/IAA proteins are auxin-sensitive repressors that mediate diverse physiological and developmental processes in plants [1, 2]. There are 29 Aux/IAA genes in Arabidopsis that exhibit unique but partially overlapping patterns of expression . Although some studies have suggested that individual Aux/IAA genes have specialized function, genetic analyses of the family have been limited by the scarcity of loss-of-function phenotypes . Furthermore, with a few exceptions, our knowledge of the factors that regulate Aux/IAA expression is limited [1, 5]. We hypothesize that transcriptional control of Aux/IAA genes plays a central role in the establishment of the auxin-signaling pathways that regulate organogenesis, growth, and environmental response. Here, we describe a screen for transcription factors (TFs) that regulate the Aux/IAA genes. We identify TFs from 38 families, including 26 members of the DREB/CBF family. Several DREB/CBF TFs directly promote transcription of the IAA5 and IAA19 genes in response to abiotic stress. Recessive mutations in these IAA genes result in decreased tolerance to stress conditions, demonstrating a role for auxin in abiotic stress. Our results demonstrate that stress pathways interact with the auxin gene regulatory network (GRN) through transcription of the Aux/IAA genes. We propose that the Aux/IAA genes function as hubs that integrate genetic and environmental information to achieve the appropriate developmental or physiological outcome. Coronatine (COR) facilitates entry of bacteria into the plant apoplast by stimulating stomata opening. COR-induced signaling events at stomata remain unclear. 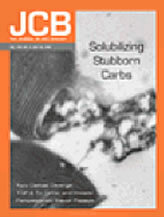 We found that the COR and jasmonate isoleucine (JA-Ile) co-receptor JAZ2 is constitutively expressed in guard cells and modulates stomatal dynamics during bacterial invasion We analyzed tissue expression patterns of AtJAZ genes and measured stomata opening and pathogen resistance in loss- and gain-of-function mutants. Arabidopsis jaz2 mutants are partially impaired in pathogen-induced stomatal closing and more susceptible to Pseudomonas. Gain-of-function mutations in JAZ2 prevent stomatal reopening by COR and are highly resistant to bacterial penetration. The JAZ2 targets MYC2, MYC3 and MYC4 directly regulate the expression of ANAC19, ANAC55 and ANAC72 to modulate stomata aperture. Due to the antagonistic interactions between the salicylic acid (SA) and JA defense pathways, efforts to increase resistance to biotrophs result in enhanced susceptibility to necrotrophs, and vice versa. Remarkably, dominant jaz2Δjas mutants are resistant to Pseudomonas syringae but retain unaltered resistance against necrotrophs. Our results demonstrate the existence of a COI1-JAZ2-MYC2,3,4-ANAC19,55,72 module responsible for the regulation of stomatal aperture that is hijacked by bacterial COR to promote infection. 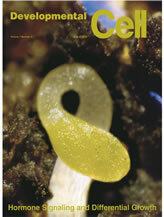 They also provide novel strategies for crop protection against biotrophs without compromising resistance to necrotrophs. Detailed molecular profiling of Oryza sativa (rice) was carried out to uncover the features that are essential for germination and early seedling growth under anoxic conditions. 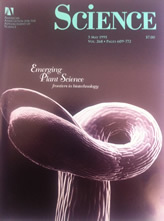 Temporal analysis of the transcriptome and methylome from germination to young seedlings under aerobic and anaerobic conditions revealed 82% similarity in the transcriptome and no differences in the epigenome up to 24 h. Following germination, significant changes in the transcriptome and DNA methylation were observed between 4-day aerobically and anaerobically grown coleoptiles. A link between the epigenomic state and cell division versus cell elongation is suggested, as no differences in DNA methylation were observed between 24-h aerobically and anaerobically germinating embryos, when there is little cell division. After that, epigenetic changes appear to correlate with differences between cell elongation (anaerobic conditions) versus cell division (aerobic conditions) in the coleoptiles. Re-oxygenation of 3-day anaerobically grown seedlings resulted in rapid transcriptomic changes in DNA methylation in these coleoptiles. Unlike the transcriptome, changes in DNA methylation upon re-oxygenation did not reflect those seen in aerobic coleoptiles, but instead, reverted to a pattern similar to dry seeds. Reversion to the ‘dry seed’ state of DNA methylation upon re-oxygenation may act to ‘reset the clock’ for the rapid molecular changes and cell division that result upon re-oxygenation. Oocyte defects lie at the heart of some forms of infertility and could potentially be addressed therapeutically by alternative routes for oocyte formation. Here, we describe the generation of functional human oocytes following nuclear transfer of first polar body (PB1) genomes from metaphase II (MII) oocytes into enucleated donor MII cytoplasm (PBNT). The reconstructed oocytes supported the formation of de novo meiotic spindles and, after fertilization with sperm, meiosis completion and formation of normal diploid zygotes. While PBNT zygotes developed to blastocysts less frequently (42%) than controls (75%), genome-wide genetic, epigenetic, and transcriptional analyses of PBNT and control ESCs indicated comparable numbers of structural variations and markedly similar DNA methylation and transcriptome profiles. We conclude that rescue of PB1 genetic material via introduction into donor cytoplasm may offer a source of oocytes for infertility treatment or mitochondrial replacement therapy for mtDNA disease. Organoids derived from human pluripotent stem cells recapitulate the early three-dimensional organization of the human brain, but whether they establish the epigenomic and transcriptional programs essential for brain development is unknown. We compared epigenomic and regulatory features in cerebral organoids and human fetal brain, using genome-wide, base resolution DNA methylome and transcriptome sequencing. Transcriptomic dynamics in organoids faithfully modeled gene expression trajectories in early-to-mid human fetal brains. We found that early non-CG methylation accumulation at super-enhancers in both fetal brain and organoids marks forthcoming transcriptional repression in the fully developed brain. Demethylated regions (74% of 35,627) identified during organoid differentiation overlapped with fetal brain regulatory elements. Interestingly, pericentromeric repeats showed widespread demethylation in multiple types of in vitro human neural differentiation models but not in fetal brain. Our study reveals that organoids recapitulate many epigenomic features of mid-fetal human brain and also identified novel non-CG methylation signatures of brain development. While genome assembly projects have been successful in many haploid and inbred species, the assembly of noninbred or rearranged heterozygous genomes remains a major challenge. To address this challenge, we introduce the open-source FALCON and FALCON-Unzip algorithms (https://github.com/PacificBiosciences/FALCON/) to assemble long-read sequencing data into highly accurate, contiguous, and correctly phased diploid genomes. We generate new reference sequences for heterozygous samples including an F1 hybrid of Arabidopsis thaliana, the widely cultivated Vitis vinifera cv. Cabernet Sauvignon, and the coral fungus Clavicorona pyxidata, samples that have challenged short-read assembly approaches. The FALCON-based assemblies are substantially more contiguous and complete than alternate short- or long-read approaches. The phased diploid assembly enabled the study of haplotype structure and heterozygosities between homologous chromosomes, including the identification of widespread heterozygous structural variation within coding sequences. Environmental stresses are universally encountered by microbes, plants, and animals. Yet systematic studies of stress-responsive transcription factor (TF) networks in multicellular organisms have been limited. The phytohormone abscisic acid (ABA) influences the expression of thousands of genes, allowing us to characterize complex stress-responsive regulatory networks. Using chromatin immunoprecipitation sequencing, we identified genome-wide targets of 21 ABA-related TFs to construct a comprehensive regulatory network in Arabidopsis thaliana Determinants of dynamic TF binding and a hierarchy among TFs were defined, illuminating the relationship between differential gene expression patterns and ABA pathway feedback regulation. By extrapolating regulatory characteristics of observed canonical ABA pathway components, we identified a new family of transcriptional regulators modulating ABA and salt responsiveness and demonstrated their utility to modulate plant resilience to osmotic stress. Ethylene gas is essential for many developmental processes and stress responses in plants. EIN2 plays a key role in ethylene signalling but its function remains enigmatic. Here, we show that ethylene specifically elevates acetylation of histone H3K14 and the non-canonical acetylation of H3K23 in etiolated seedlings. The up-regulation of these two histone marks positively correlates with ethylene-regulated transcription activation, and the elevation requires EIN2. Both EIN2 and EIN3 interact with a SANT domain protein named EIN2 nuclear associated protein 1 (ENAP1), overexpression of which results in elevation of histone acetylation and enhanced ethylene-inducible gene expression in an EIN2-dependent manner. On the basis of these findings we propose a model where, in the presence of ethylene, the EIN2 C terminus contributes to downstream signalling via the elevation of acetylation at H3K14 and H3K23. ENAP1 may potentially mediate ethylene-induced histone acetylation via its interactions with EIN2 C terminus. Recent studies have aimed to convert cultured human pluripotent cells to a naive state, but it remains unclear to what extent the resulting cells recapitulate in vivo naive pluripotency. Here we propose a set of molecular criteria for evaluating the naive human pluripotent state by comparing it to the human embryo. We show that transcription of transposable elements provides a sensitive measure of the concordance between pluripotent stem cells and early human development. We also show that induction of the naive state is accompanied by genome-wide DNA hypomethylation, which is reversible except at imprinted genes, and that the X chromosome status resembles that of the human preimplantation embryo. However, we did not see efficient incorporation of naive human cells into mouse embryos. Overall, the different naive conditions we tested showed varied relationships to human embryonic states based on molecular criteria, providing a backdrop for future analysis of naive human pluripotency. Coexpression networks and gene regulatory networks (GRNs) are emerging as important tools for predicting functional roles of individual genes at a system-wide scale. To enable network reconstructions, we built a large-scale gene expression atlas composed of 62,547 messenger RNAs (mRNAs), 17,862 nonmodified proteins, and 6227 phosphoproteins harboring 31,595 phosphorylation sites quantified across maize development. Networks in which nodes are genes connected on the basis of highly correlated expression patterns of mRNAs were very different from networks that were based on coexpression of proteins. Roughly 85% of highly interconnected hubs were not conserved in expression between RNA and protein networks. However, networks from either data type were enriched in similar ontological categories and were effective in predicting known regulatory relationships. Integration of mRNA, protein, and phosphoprotein data sets greatly improved the predictive power of GRNs. 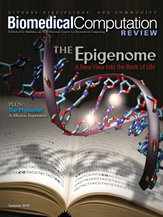 The epigenome orchestrates genome accessibility, functionality, and three-dimensional structure. Because epigenetic variation can impact transcription and thus phenotypes, it may contribute to adaptation. Here, we report 1,107 high-quality single-base resolution methylomes and 1,203 transcriptomes from the 1001 Genomes collection of Arabidopsis thaliana. Although the genetic basis of methylation variation is highly complex, geographic origin is a major predictor of genome-wide DNA methylation levels and of altered gene expression caused by epialleles. Comparison to cistrome and epicistrome datasets identifies associations between transcription factor binding sites, methylation, nucleotide variation, and co-expression modules. Physical maps for nine of the most diverse genomes reveal how transposons and other structural variants shape the epigenome, with dramatic effects on immunity genes. The 1001 Epigenomes Project provides a comprehensive resource for understanding how variation in DNA methylation contributes to molecular and non-molecular phenotypes in natural populations of the most studied model plant. Protein microarrays enable investigation of diverse biochemical properties for thousands of proteins in a single experiment, an unparalleled capacity. Using a high-density system called HaloTag nucleic acid programmable protein array (HaloTag-NAPPA), we created high-density protein arrays comprising 12,000 Arabidopsis ORFs. We used these arrays to query protein-protein interactions for a set of 38 transcription factors and transcriptional regulators (TFs) that function in diverse plant hormone regulatory pathways. The resulting transcription factor interactome network, TF-NAPPA, contains thousands of novel interactions. Validation in a benchmarked in vitro pull-down assay revealed that a random subset of TF-NAPPA validated at the same rate of 64% as a positive reference set of literature-curated interactions. Moreover, using a bimolecular fluorescence complementation (BiFC) assay, we confirmed in planta several interactions of biological interest and determined the interaction localizations for seven pairs. The application of HaloTag-NAPPA technology to plant hormone signaling pathways allowed the identification of many novel transcription factor-protein interactions and led to the development of a proteome-wide plant hormone TF interactome network. Abscisic acid (ABA) is a plant hormone that mediates abiotic stress tolerance and regulates growth and development. ABA binds to members of the PYL/RCAR ABA receptor family that initiate signal transduction inhibiting type 2C protein phosphatases. Although crosstalk between ABA and the hormone Jasmonic Acid (JA) has been shown, the molecular entities that mediate this interaction have yet to be fully elucidated. We report a link between ABA and JA signaling through a direct interaction of the ABA receptor PYL6 (RCAR9) with the basic helix-loop-helix transcription factor MYC2. PYL6 and MYC2 interact in yeast two hybrid assays and the interaction is enhanced in the presence of ABA. PYL6 and MYC2 interact in planta based on bimolecular fluorescence complementation and co-immunoprecipitation of the proteins. Furthermore, PYL6 was able to modify transcription driven by MYC2 using JAZ6 and JAZ8 DNA promoter elements in yeast one hybrid assays. Finally, pyl6 T-DNA mutant plants show an increased sensitivity to the addition of JA along with ABA in cotyledon expansion experiments. Overall, the present study identifies a direct mechanism for transcriptional modulation mediated by an ABA receptor different from the core ABA signaling pathway, and a putative mechanistic link connecting ABA and JA signaling pathways. In multi-cellular organisms, gene expression is orchestrated by thousands of transcription factors (TF). Chromatin immunoprecipitation followed by sequencing (ChIP-seq) is a robust tool to investigate gene expression because this technique profiles in vivo protein-DNA interaction at a genome-wide scale. Eight years after the first ChIP-seq paper, there are limited reports of ChIP-seq experiments in plants, especially for sequence-specific DNA binding TFs This lag greatly prevents our understanding of transcriptional regulation in an entire kingdom. In order to bridge the technical gap, we describe a ChIP-seq procedure that we have successfully applied to dozens of sequence-specific DNA binding TFs. The basic protocol includes procedures to isolate nuclei, sonicate chromatin, immunoprecipitate TF-DNA complex, and recover ChIP-enriched DNA fragments. The support protocol also describes practices to optimize library preparation by a gel-free DNA size selection. Lastly, examples are given to optimize library amplification using real-time PCR. The cistrome is the complete set of transcription factor (TF) binding sites (cis-elements) in an organism, while an epicistrome incorporates tissue-specific DNA chemical modifications and TF-specific chemical sensitivities into these binding profiles. Robust methods to construct comprehensive cistrome and epicistrome maps are critical for elucidating complex transcriptional networks that underlie growth, behavior, and disease. Here, we describe DNA affinity purification sequencing (DAP-seq), a high-throughput TF binding site discovery method that interrogates genomic DNA with in-vitro-expressed TFs. Using DAP-seq, we defined the Arabidopsis cistrome by resolving motifs and peaks for 529 TFs. Because genomic DNA used in DAP-seq retains 5-methylcytosines, we determined that >75% (248/327) of Arabidopsis TFs surveyed were methylation sensitive, a property that strongly impacts the epicistrome landscape. DAP-seq datasets also yielded insight into the biology and binding site architecture of numerous TFs, demonstrating the value of DAP-seq for cost-effective cistromic and epicistromic annotation in any organism. The plant hormone auxin is perceived by a family of F-box proteins called the TIR1/AFBs. Phylogenetic studies reveal that these proteins fall into four clades in flowering plants called TIR1, AFB2, AFB4, and AFB6. Genetic studies indicate that members of the TIR1 and AFB2 groups act as positive regulators of auxin signaling by promoting the degradation of the Aux/IAA transcriptional repressors. In this report, we demonstrate that both AFB4 and AFB5 also function as auxin receptors based on in vitro assays. We also provide genetic evidence that AFB4 and AFB5 are targets of the picloram family of auxinic herbicides in addition to indole-3-acetic acid. In contrast to previous studies we find that null afb4 alleles do not exhibit obvious defects in seedling morphology or auxin hypersensitivity. We conclude that AFB4 and AFB5 act in a similar fashion to other members of the family but exhibit a distinct auxin specificity. DNA methylation is an epigenetic modification that differs between plant organs and tissues, but the extent of variation between cell types is not known. 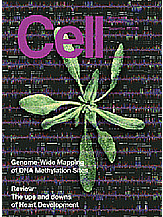 Here, we report single-base-resolution whole-genome DNA methylomes, mRNA transcriptomes and small RNA transcriptomes for six cell populations covering the major cell types of the Arabidopsis root meristem. We identify widespread cell-type-specific patterns of DNA methylation, especially in the CHH sequence context, where H is A, C or T. The genome of the columella root cap is the most highly methylated Arabidopsis cell characterized so far. It is hypermethylated within transposable elements (TEs), accompanied by increased abundance of transcripts encoding RNA-directed DNA methylation (RdDM) pathway components and 24-nt small RNAs (smRNAs). The absence of the nucleosome remodeller DECREASED DNA METHYLATION 1 (DDM1), required for maintenance of DNA methylation, and low abundance of histone transcripts involved in heterochromatin formation suggests that a loss of heterochromatin may occur in the columella, thus allowing access of RdDM factors to the whole genome, and producing an excess of 24-nt smRNAs in this tissue. Together, these maps provide new insights into the epigenomic diversity that exists between distinct plant somatic cell types. The vertebrate body plan and organs are shaped during a conserved embryonic phase called the phylotypic stage. However, the mechanisms that guide the epigenome through this transition and their evolutionary conservation remain elusive. Here we report widespread DNA demethylation of enhancers during the phylotypic period in zebrafish, Xenopus tropicalis and mouse. These enhancers are linked to developmental genes that display coordinated transcriptional and epigenomic changes in the diverse vertebrates during embryogenesis. Binding of Tet proteins to (hydroxy)methylated DNA and enrichment of 5-hydroxymethylcytosine in these regions implicated active DNA demethylation in this process. Furthermore, loss of function of Tet1, Tet2 and Tet3 in zebrafish reduced chromatin accessibility and increased methylation levels specifically at these enhancers, indicative of DNA methylation being an upstream regulator of phylotypic enhancer function. Overall, our study highlights a regulatory module associated with the most conserved phase of vertebrate embryogenesis and suggests an ancient developmental role for Tet dioxygenases. Rod and cone photoreceptors are highly similar in many respects but they have important functional and molecular differences. Here, we investigate genome-wide patterns of DNA methylation and chromatin accessibility in mouse rods and cones and correlate differences in these features with gene expression, histone marks, transcription factor binding, and DNA sequence motifs. Loss of NR2E3 in rods shifts their epigenomes to a more cone-like state. The data further reveal wide differences in DNA methylation between retinal photoreceptors and brain neurons. Surprisingly, we also find a substantial fraction of DNA hypo-methylated regions in adult rods that are not in active chromatin. Many of these regions exhibit hallmarks of regulatory regions that were active earlier in neuronal development, suggesting that these regions could remain undermethylated due to the highly compact chromatin in mature rods. This work defines the epigenomic landscapes of rods and cones, revealing features relevant to photoreceptor development and function. RNA silencing at the transcriptional and posttranscriptional levels regulates endogenous gene expression, controls invading transposable elements (TEs), and protects the cell against viruses. Key components of the mechanism are small RNAs (sRNAs) of 21-24 nt that guide the silencing machinery to their nucleic acid targets in a nucleotide sequence-specific manner. Transcriptional gene silencing is associated with 24-nt sRNAs and RNA-directed DNA methylation (RdDM) at cytosine residues in three DNA sequence contexts (CG, CHG, and CHH). We previously demonstrated that 24-nt sRNAs are mobile from shoot to root in Arabidopsis thaliana and confirmed that they mediate DNA methylation at three sites in recipient cells. In this study, we extend this finding by demonstrating that RdDM of thousands of loci in root tissues is dependent upon mobile sRNAs from the shoot and that mobile sRNA-dependent DNA methylation occurs predominantly in non-CG contexts. Mobile sRNA-dependent non-CG methylation is largely dependent on the DOMAINS REARRANGED METHYLTRANSFERASES 1/2 (DRM1/DRM2) RdDM pathway but is independent of the CHROMOMETHYLASE (CMT)2/3 DNA methyltransferases. Specific superfamilies of TEs, including those typically found in gene-rich euchromatic regions, lose DNA methylation in a mutant lacking 22- to 24-nt sRNAs (dicer-like 2, 3, 4 triple mutant). Transcriptome analyses identified a small number of genes whose expression in roots is associated with mobile sRNAs and connected to DNA methylation directly or indirectly. Finally, we demonstrate that sRNAs from shoots of one accession move across a graft union and target DNA methylation de novo at normally unmethylated sites in the genomes of root cells from a different accession. Different neurodegenerative disorders often show similar lesions, such as the presence of amyloid plaques, TAU-neurotangles and synuclein inclusions. The genetically inherited forms are rare, so we wondered whether shared epigenetic aberrations, such as those affecting DNA methylation, might also exist. The studied samples were gray matter samples from the prefrontal cortex of control and neurodegenerative disease-associated cases. We performed the DNA methylation analyses of Alzheimer’s disease, dementia with Lewy bodies, Parkinson’s disease and Alzheimer-like neurodegenerative profile associated with Down’s syndrome samples. The DNA methylation landscapes obtained show that neurodegenerative diseases share similar aberrant CpG methylation shifts targeting a defined gene set. Our findings suggest that neurodegenerative disorders might have similar pathogenetic mechanisms that subsequently evolve into different clinical entities. The identified aberrant DNA methylation changes can be used as biomarkers of the disorders and as potential new targets for the development of new therapies. Sun-loving plants have the ability to detect and avoid shading through sensing of both blue and red light wavelengths. Higher plant cryptochromes (CRYs) control how plants modulate growth in response to changes in blue light. For growth under a canopy, where blue light is diminished, CRY1 and CRY2 perceive this change and respond by directly contacting two bHLH transcription factors, PIF4 and PIF5. These factors are also known to be controlled by phytochromes, the red/far-red photoreceptors; however, transcriptome analyses indicate that the gene regulatory programs induced by the different light wavelengths are distinct. Our results indicate that CRYs signal by modulating PIF activity genome wide and that these factors integrate binding of different plant photoreceptors to facilitate growth changes under different light conditions. Retrograde signalling from plastids to the nucleus is necessary to regulate the organelle’s proteome during the establishment of photoautotrophy and fluctuating environmental conditions. Studies that used inhibitors of chloroplast biogenesis have revealed that hundreds of nuclear genes are regulated by retrograde signals emitted from plastids. Plastid gene expression is the source of at least one of these signals, but the number of signals and their mechanisms used to regulate nuclear gene expression are unknown. To further examine the effects of plastid gene expression on nuclear gene expression, we analyzed Arabidopsis mutants that were defective in each of the six sigma factor (SIG) genes that encode proteins utilized by plastid-encoded RNA polymerase to transcribe specific sets of plastid genes. We showed that SIG2 and SIG6 have partially redundant roles in plastid transcription and retrograde signalling to control nuclear gene expression. The loss of GUN1 (a plastid-localized pentatricopeptide repeat protein) is able to restore nuclear (but not plastid) gene expression in both sig2 and sig6, whereas an increase in heme synthesis is able to restore nuclear gene expression in sig2 mutants only. These results demonstrate that sigma factor function is the source of at least two retrograde signals to the nucleus; one likely to involve the transcription of tRNA(Glu) . A microarray analysis showed that these two signals accounted for at least one subset of the nuclear genes that are regulated by the plastid biogenesis inhibitors norflurazon and lincomycin. Together these data suggest that such inhibitors can induce retrograde signalling by affecting transcription in the plastid. In the mouse liver, circadian transcriptional rhythms are necessary for metabolic homeostasis. Whether dynamic epigenomic modifications are associated with transcript oscillations has not been systematically investigated. We found that several antisense RNA, lincRNA, and microRNA transcripts also showed circadian oscillations in adult mouse livers. Robust transcript oscillations often correlated with rhythmic histone modifications in promoters, gene bodies, or enhancers, although promoter DNA methylation levels were relatively stable. Such integrative analyses identified oscillating expression of an antisense transcript (asPer2) to the gene encoding the circadian oscillator component Per2. Robust transcript oscillations often accompanied rhythms in multiple histone modifications and recruitment of multiple chromatin-associated clock components. Coupling of cycling histone modifications with nearby oscillating transcripts thus established a temporal relationship between enhancers, genes, and transcripts on a genome-wide scale in a mammalian liver. The results offer a framework for understanding the dynamics of metabolism, circadian clock, and chromatin modifications involved in metabolic homeostasis. Plants sense neighbor proximity as a decrease in the ratio of red to far-red light, which triggers a series of developmental responses. In Arabidopsis, phytochrome B (PHYB) is the major sensor of shade, but PHYB excitation has not been linked directly to a growth response. We show that the basic helix-loop-helix (bHLH) transcription factor PIF7 (phytochrome-interacting factor 7), an interactor of PHYB, accumulates in its dephosphorylated form in shade, allowing it to bind auxin biosynthetic genes and increase their expression. New auxin synthesized through a PIF7-regulated pathway is required for shade-induced growth, linking directly the perception of a light quality signal to a rapid growth response. 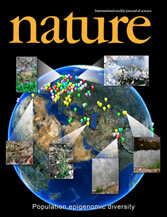 Although pioneered by human geneticists as a potential solution to the challenging problem of finding the genetic basis of common human diseases, genome-wide association (GWA) studies have, owing to advances in genotyping and sequencing technology, become an obvious general approach for studying the genetics of natural variation and traits of agricultural importance. They are particularly useful when inbred lines are available, because once these lines have been genotyped they can be phenotyped multiple times, making it possible (as well as extremely cost effective) to study many different traits in many different environments, while replicating the phenotypic measurements to reduce environmental noise. Here we demonstrate the power of this approach by carrying out a GWA study of 107 phenotypes in Arabidopsis thaliana, a widely distributed, predominantly self-fertilizing model plant known to harbour considerable genetic variation for many adaptively important traits. Our results are dramatically different from those of human GWA studies, in that we identify many common alleles of major effect, but they are also, in many cases, harder to interpret because confounding by complex genetics and population structure make it difficult to distinguish true associations from false. However, a-priori candidates are significantly over-represented among these associations as well, making many of them excellent candidates for follow-up experiments. Our study demonstrates the feasibility of GWA studies in A. thaliana and suggests that the approach will be appropriate for many other organisms. Cell separation, or abscission, is a highly specialized process in plants that facilitates remodeling of their architecture and reproductive success. Because few genes are known to be essential for organ abscission, we conducted a screen for mutations that alter floral organ shedding in Arabidopsis. Nine recessive mutations that block shedding were found to disrupt the function of an ADP-ribosylation factor-GTPase-activating protein (ARF-GAP) we have named NEVERSHED (NEV). As predicted by its homology to the yeast Age2 ARF-GAP and transcriptional profile, NEV influences other aspects of plant development, including fruit growth. Co-localization experiments carried out with NEV-specific antiserum and a set of plant endomembrane markers revealed that NEV localizes to the trans-Golgi network and endosomes in Arabidopsis root epidermal cells. Interestingly, transmission electron micrographs of abscission zone regions from wild-type and nev flowers reveal defects in the structure of the Golgi apparatus and extensive accumulation of vesicles adjacent to the cell walls. Our results suggest that NEV ARF-GAP activity at the trans-Golgi network and distinct endosomal compartments is required for the proper trafficking of cargo molecules required for cell separation. We used hybridization to the ATH1 gene expression array to interrogate genomic DNA diversity in 23 wild strains (accessions) of Arabidopsis thaliana (arabidopsis), in comparison with the reference strain Columbia (Col). At <1% false discovery rate, we detected 77,420 single-feature polymorphisms (SFPs) with distinct patterns of variation across the genome. Total and pair-wise diversity was higher near the centromeres and the heterochromatic knob region, but overall diversity was positively correlated with recombination rate (R(2) = 3.1%). The difference between total and pair-wise SFP diversity is a relative measure contrasting diversifying or frequency-dependent selection, similar to Tajima's D, and can be calibrated by the empirical genome-wide distribution. Each unique locus, centered on a gene, has a diversity and selection score that suggest a relative role in past evolutionary processes. Homologs of disease resistance (R) genes include members with especially high levels of diversity often showing frequency-dependent selection and occasionally evidence of a past selective sweep. Receptor-like and S-locus proteins also contained members with elevated levels of diversity and signatures of selection, whereas other gene families, bHLH, F-box, and RING finger proteins, showed more typical levels of diversity. SFPs identified with the gene expression array also provide an empirical hybridization polymorphism background for studies of gene expression polymorphism and are available through the genome browser http://signal.salk.edu/cgi-bin/AtSFP. FRIGIDA (FRI) and FLOWERING LOCUS C (FLC) are two genes that, unless plants are vernalized, greatly delay flowering time in Arabidopsis thaliana. Natural loss-of-function mutations in FRI cause the early flowering growth habits of many A. thaliana accessions. To quantify the variation among wild accessions due to FRI, and to identify additional genetic loci in wild accessions that influence flowering time, we surveyed the flowering times of 145 accessions in long-day photoperiods, with and without a 30-day vernalization treatment, and genotyped them for two common natural lesions in FRI. FRI is disrupted in at least 84 of the accessions, accounting for only approximately 40% of the flowering-time variation in long days. During efforts to dissect the causes for variation that are independent of known dysfunctional FRI alleles, we found new loss-of-function alleles in FLC, as well as late-flowering alleles that do not map to FRI or FLC. An FLC nonsense mutation was found in the early flowering Van-0 accession, which has otherwise functional FRI. In contrast, Lz-0 flowers late because of high levels of FLC expression, even though it has a deletion in FRI. Finally, eXtreme array mapping identified genomic regions linked to the vernalization-independent, late-flowering habit of Bur-0, which has an alternatively spliced FLC allele that behaves as a null allele. Much of the flowering time variation in wild strains of Arabidopsis thaliana is due to allelic variation at two epistatically acting loci, FRIGIDA (FRI) and FLOWERING LOCUS C (FLC). FLC encodes a MADS (MCM1/AGAMOUS/DEFICIENS/SRF1) domain transcription factor that directly represses a series of flowering-promoting genes. FRI and FLC, however, do not explain all of the observed variation, especially when plants are grown in short days. To identify loci that act in addition to FRI and FLC in controlling flowering of natural accessions, we have analyzed a recombinant inbred line population derived from crosses of accession Niederzenz (Nd) to Columbia, both of which contain natural FRI lesions. Quantitative trait locus mapping and genomic DNA analysis by microarray hybridization were used to identify candidate genes affecting variation in flowering behavior. In both long and short days, the quantitative trait locus of largest effect, termed FLOWERING 1 (FLW1), was found to be associated with a Nd-specific deletion of FLOWERING LOCUS M (FLM), which encodes a floral repressor closely related to FLC. Analysis of near isogenic lines and quantitative transgenic complementation experiments confirmed that the FLM deletion is, in large part, responsible for the early flowering of the Nd accession. The transition from vegetative growth to reproductive development in Arabidopsis is regulated by multiple floral induction pathways, including the photoperiodic, the autonomous, the vernalization, and the hormonal pathways. These pathways converge to regulate the expression of a small set of genes critical for floral initiation and different signal transduction pathways can interact to govern the time to flower. One important regulator of floral initiation is the MADS-box transcription factor FLC, which acts as a negative regulator of flowering in response to both endogenous and environmental signals. In this report, we describe a study of the flowering-time gene, FLK [flowering locus K homology (KH) domain] that encodes a putative RNA-binding protein with three KH domains. The flk mutations cause delayed flowering without a significant effect on the photoperiodic or vernalization responses. FLK functions primarily as a repressor of FLC expression, although it also modestly affects expression of genes associated with the photoperiodic pathway. In addition to FLK, the expression of two other KH domain genes are modestly affected by the flk mutation, suggesting a possible involvement of more than one KH domain protein in the regulation of flowering time in Arabidopsis. Genetic analysis of natural variation in ecotypes of Arabidopsis thaliana can facilitate the discovery of new genes or of allelic variants of previously identified genes controlling physiological processes in plants. We mapped quantitative trait loci (QTL) for light response in recombinant inbred lines (RILs) derived from the Columbia and Kashmir accessions via two methods: composite interval mapping and eXtreme array mapping (XAM). After measuring seedling hypocotyl lengths in blue, red, far-red, and white light, and in darkness, eight QTL were identified by composite interval mapping and five localized near photoreceptor loci. Two QTL in blue light were associated with CRY1 and CRY2, two in red light were near PHYB and PHYC, and one in far-red light localized near PHYA. The RED2 and RED5 QTL were verified in segregating lines. XAM was tested for the identification of QTL in red light with pools of RILs selected for extreme phenotypes. Thousands of single feature polymorphisms detected by differential DNA hybridized to high-density oligo-nucleotide arrays were used to estimate allele frequency differences between the pools. The RED2 QTL was identified clearly; differences exceeded a threshold of significance determined by simulations. The sensitivities of XAM to population type and size and genetic models were also determined by simulation analysis. Phytochrome kinase substrate1 (PKS1) is a cytoplasmic protein that interacts physically with, and is phosphorylated by, the plant photoreceptor phytochrome. Here, we show that light transiently increases PKS1 mRNA levels and concentrates its expression to the elongation zone of the hypocotyl and root. This response is mediated by phytochrome A (phyA) acting in the very low fluence response (VLFR) mode. In the hypocotyl, PKS1 RNA and protein accumulation are maintained only under prolonged incubation in far-red light, the wavelength that most effectively activates phyA. 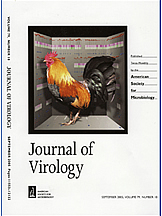 Null mutants of PKS1 and its closest homolog, PKS2, show enhanced phyA-mediated VLFR. Notably, a pks1 pks2 double mutant has no phenotype, whereas overexpression of either PKS1 or PKS2 results in the same phenotype as the pks1 or pks2 single null mutant. We propose that PKS1 and PKS2 are involved in a growth regulatory loop that provides homeostasis to phyA signaling in the VLFR. In accordance with this idea, PKS1 effects are larger in the pks2 background (and vice versa). Moreover, the two proteins can interact with each other, and PKS2 negatively regulates PKS1 protein levels specifically under VLFR conditions. Nuclear genes control plastid differentiation in response to developmental signals, environmental signals, and retrograde signals from plastids themselves. In return, plastids emit signals that are essential for proper expression of many nuclear photosynthetic genes. Accumulation of magnesium-protoporphyrin IX (Mg-Proto), an intermediate in chlorophyll biosynthesis, is a plastid signal that represses nuclear transcription through a signaling pathway that, in Arabidopsis, requires the GUN4 gene. GUN4 binds the product and substrate of Mg- chelatase, an enzyme that produces Mg-Proto, and activates Mg-chelatase. Thus, GUN4 participates in plastid-to-nucleus signaling by regulating Mg-Proto synthesis or trafficking. Plant cells coordinately regulate the expression of nuclear and plastid genes that encode components of the photosynthetic apparatus. Nuclear genes that regulate chloroplast development and chloroplast gene expression provide part of this coordinate control. There is evidence that information also flows in the opposite direction, from chloroplasts to the nucleus. Until now, at least three different signalling pathways have been identified that originate in the plastid and control nuclear gene expression but the molecular nature of these signals has remained unknown. Here we show that the tetrapyrrole intermediate Mg-protoporphyrin (Mg-ProtoIX) acts as a signalling molecule in one of the signalling pathways between the chloroplast and nucleus. Accumulation of Mg-ProtoIX is both necessary and sufficient to regulate the expression of many nuclear genes encoding chloroplastic proteins associated with photosynthesis. The plant hormone auxin regulates many aspects of plant growth and development. Although several auxin biosynthetic pathways have been proposed, none of these pathways has been precisely defined at the molecular level. Here we provide in planta evidence that the two Arabidopsis cytochrome P450s, CYP79B2 and CYP79B3, which convert tryptophan (Trp) to indole-3-acetaldoxime (IAOx) in vitro, are critical enzymes in auxin biosynthesis in vivo. IAOx is thus implicated as an important intermediate in auxin biosynthesis. Plants overexpressing CYP79B2 contain elevated levels of free auxin and display auxin overproduction phenotypes. Conversely, cyp79B2 cyp79B3 double mutants have reduced levels of IAA and show growth defects consistent with partial auxin deficiency. Together with previous work on YUCCA, a flavin monooxygenase also implicated in IAOx production, and nitrilases that convert indole-3-acetonitrile to auxin, this work provides a framework for further dissecting auxin biosynthetic pathways and their regulation. Friedrichsen, D.M., Nemhauser, J., Muramitsu, T., Maloof, J.N., Alonso, J., Ecker, J.R., Furuya, M., Chory, J. Three redundant brassinosteroid early response genes encode putative bHLH transcription factors required for normal growth. (2002) Genetics. 162(3):1445-56. Brassinosteroids (BRs) are a class of polyhydroxylated steroids that are important regulators of plant growth and development. We have identified three closely related basic helix-loop-helix (bHLH) transcription factors, BEE1, BEE2, and BEE3, as products of early response genes required for full BR response. Comparison of the phenotypes of plants that overexpress BEE1 with bee1 bee2 bee3 triple-knockout mutant plants suggests that BEE1, BEE2, and BEE3 are functionally redundant positive regulators of BR signaling. Expression of BEE1, BEE2, and BEE3 is also regulated by other hormones, notably abscisic acid (ABA), a known antagonist of BR signaling. Reduced ABA response in plants overexpressing BEE1 suggests that BEE proteins may function as signaling intermediates in multiple pathways. 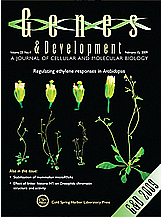 Schroeder, D.F., Gahrtz, M., Maxwell, B.B., Cook, R.K., Kan, J.M., Alonso, J.M., Ecker, J.R., Chory, J. De-etiolated 1 and damaged DNA binding protein 1 interact to regulate Arabidopsis photomorphogenesis. (2002) Current Biology. 12(17):1462-72. Plant development is exquisitely sensitive to light. Seedlings grown in the dark have a developmentally arrested etiolated phenotype, whereas in the light they develop leaves and complete their life cycle. Arabidopsis de-etiolated 1 (det1) mutants develop like light-grown seedlings even when grown in the dark. DET1 encodes a nuclear protein that appears to act downstream from multiple photoreceptors to regulate morphogenesis and gene expression in response to light. However, its function has remained unknown. Chory, J., Ecker, J.R., Briggs, S., Caboche, M., Coruzzi, G.M., Cook, D., Dangl, J., Grant, S., Guerinot, M.L., Henikoff, S., Martienssen, R., Okada, K., Raikhel, N.V., Somerville, C.R., Weigel, D. National Science Foundation-Sponsored Workshop Report: “The 2010 Project” functional genomics and the virtual plant. A blueprint for understanding how plants are built and how to improve them. 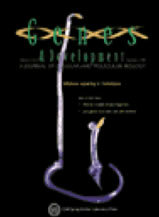 (2000) Plant Physiology. 123(2):423-6. Mulligan, R.M., Chory, J., Ecker, J.R. Signaling in plants. (1997) Proceedings of the National Academy of Sciences of the United States of America. 94(7):2793-5. Higher plants are sessile organisms that perceive environmental cues such as light and chemical signals and respond by changing their morphologies. Signaling pathways utilize a complex network of interactions to orchestrate biochemical and physiological responses such as flowering, fruit ripening, germination, photosynthetic regulation, and shoot or root development. In this session, the mechanisms of signaling systems that trigger plant responses to light and to the gaseous hormone, ethylene, were discussed. These signals are first sensed by a receptor and transmitted to the nucleus by a complex network. A signal may be transmitted to the nucleus by any of several systems including GTP binding proteins (G proteins), which change activity upon GTP binding; protein kinase cascades, which sequentially phosphorylate and activate a series of proteins; and membrane ion channels, which change ionic characteristics of the cells. The signal is manifested in the nucleus as a change in the activity of DNA-binding proteins, which are transcription factors that specifically interact and modulate the regulatory regions of genes. Thus, detection of an environmental signal is transmitted through a transduction pathway, and changes in transcription factor activity may coordinate changes in the expression of a portfolio of genes to direct new developmental programs.